Modern Turkish fiction is generally considered to have gone through two streams of narrative methods. One is individual romance and the other is social realism. This generalization implies that the dichotomy between aesthetic and ideology hides behind the narrative. Most fiction writers chose one or the other in order to avoid a clash of styles in the mind of the reader. However, some others chose neither of the two and leave the task of solving the conflict to the reader. The unfortunate poet and novelist Sabahattin Ali obviously walked the second path. He was not a man of harmony at all. His fiction is fundamentally inclined to bring insoluble conflicts forward. He does not even like to show a glimpse of hope to the reader at the end of a pathetic story. What stimulated him to write darker on dark situations was his political ambition. Ali was a strict dissident. He wanted to use his fiction as a vehicle of his political hostility to single-party rule. Unfortunately, he paid for this attitude with his life. Ali was murdered by an agent of the National Security Service as he was trying to illegally cross the Turkish-Bulgarian border. Sabahattin Ali was born on Feb. 25, 1907, in the town of Eğridere in Gümülcine, which is now Ardino in southern Bulgaria and Komotini in northern Greece. His father Selahattin Ali Bey was a military officer. Since his father's workplace frequently changed, Sabahattin Ali attended school in various cities including Istanbul, Çanakkale and Edremit. He witnessed many things, including the revolution and war, during his childhood. In 1921, while his father was working in Edremit, Greek forces occupied the region and he could not receive his salary. The family found themselves in great difficulty since they had no economic opportunities other than their father's salary coming from the Ottoman state. After the Greek forces were driven out and the Aegean region of Turkey was occupied by national forces, Ali attended the Boarding Teacher Training School in Balıkesir where he would leave for its equivalent in Istanbul. He graduated from the school in 1926 before he began to work as a teacher in Yozgat. In his 20s, Ali was an enthusiastic and sentimental young man. He visited Germany for language studies and after his return in 1930 he worked as an elementary school tutor and a German teacher in various schools in Orhaneli, Aydın and Konya. Meanwhile, he was writing poems and short stories. He began publishing poems in 1926 in a local literary journal of Balıkesir. After that, he decided to send his work to the Istanbul press. He was also writing sentimental and romantic short stories. He published his first short story in 1930. This was "Bir Orman Hikayesi" (A Story from the Forest), which the well-known leftist poet Nazım Hikmet published in the Resimli Ay (Monthly Illustrated) journal with the note: "This writing is of a newer kind that is not common in our land. In this writing, the writer gives us an intelligent and bright point of view in order that we can see such things as the entire conservative and progressive sides of the psychology of the villagers, how the capital-owners destroy traditional village life in order to make its initial capital, and finally the ambiguous and ambitious forest life that is a marvelous part of nature." Hikmet's somehow hyperbolic remarks should have meant much to the young writer. He was between the struggling trenches in those years. He had close friends from the right-wing political environment, including Nihal Atsız, while he was publishing his stories in Hikmet's leftist journal. He was also a teacher, meaning that he was a public servant, but he was always speaking out and writing against the regime. He was arrested in 1932 and sentenced to one year in prison on the charge of writing a poem disdaining Mustafa Kemal Atatürk, the president during the period of single-party rule. He served some months in Konya and Sinop prisons before he was released thanks to a general pardon issued in 1933. Released from prison, Ali applied to the Ministry of Education in Ankara asking them to give him his job back. 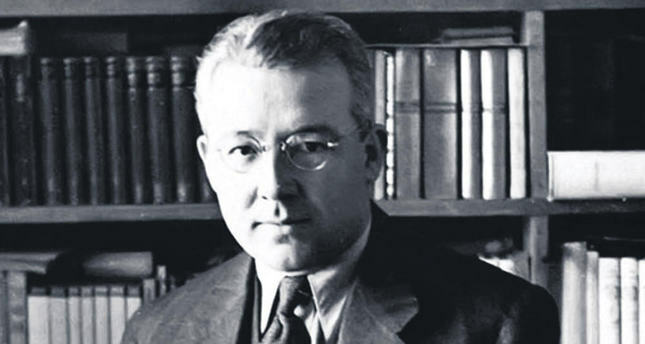 Minister of Education Hikmet Bayur asked the young dissident to prove his loyalty to the regime, so Ali wrote a poem praising Atatürk and published it in the literary journal "Varlık" (Existence). After being pardoned by the bureaucrats, Ali began living a very productive and energetic life. He was working as a teacher, while his real occupation was writing poems and fiction. He married Aliye Hanım in 1935. The couple had a daughter named Filiz in 1937. Meanwhile, he completed his military duty in 1936. Some of his short stories published in Istanbul literary journals attracted much attention from a wide-ranging audience. He liked to write about the bitter facts of the lives of the poor. He had a dark and pathetic vision. He always ended his stories with the worst conditions, including death, poverty, illness, departure and other disheartening themes. Furthermore, he used half ambiguous metaphors in order to imply the oppression of the state and the upper classes on the lower classes. In this, he did not necessarily use a socialist point of view. The question whether he was a leftist or a rightist would not affect the real question about the darkness, negation and despair of his style. In the novel "Kuyucaklı Yusuf" (Yusuf from Kuyucak) published in 1937, Ali employs a rare narrative method. He writes a true romance story of Yusuf and Muazzez - both names are allegorical since Yusuf implies the Prophet Joseph betrayed by his brothers and "Muazzez" means "the beloved" - in the middle of a bitterly realistic novel about their social environment. Some critics evaluate this as a dichotomy of style, while some find it convenient to the subject of the book. The plot of "Kuyucaklı Yusuf" is crucial, which was a habit for Ali in his fiction. Ali was very productive in the second half of the 1930s and the first half of the 1940s. He published five volumes of short stories, one novella and three novels from 1936 to 1943. After Atatürk died and İsmet İnönü entered the presidency and World War II ended, some writers thought that they could act freer than before. Ali was among these dissidents. He criticized the government and nationalism, his previous ideology. The nationalists, led by his old friend Nihal Atsız, protested against him, while the government prosecuted him. Ali was arrested and imprisoned several times. In 1948, after being released from prison, he decided to go abroad but could not obtain a passport from the government. So he tried to cross the border illegally. Unfortunately, he made a deal with a truck driver, Ali Ertekin, to cross the Turkish-Bulgarian border. Ertekin turned out to be an agent of the National Security Service, who killed the dissident writer on April 2, 1948. The murderer was arrested and faced a court trial before he was sentenced to four years in prison. Ali once wrote: "Should it be so hard, so full of troubles, and even so dangerous to try to make a living without thieving, without leaving people with hunger even after they feed you, without leaving them naked even after they dress you?"